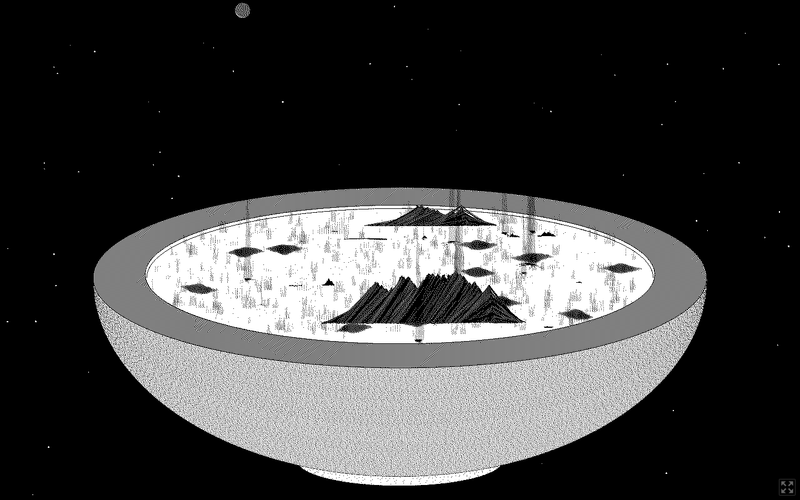 Mirror Lake will make a procedurally generated bowl for you. Sometimes the bowl is empty, which sounds like a parable, but mostly it is just a bowl. Sometimes it is in space. Click again, and you'll be greeted with another bowl. Other features of its landscape may include: mountains, trees, stones, ponds, birds, comets, planets, stars. Mirror Lake was created by Katie Rose Pipkin for the recent Procedural Generation Jam, which encouraged people to make generative games, tools and art—to "make something that makes something." In this case, hauntingly pretty monochromatic space bowls. Pipkin previously made a bot that creates tweets peppered with tiny star fields, and co-created another bot that draws and names procedurally generated moths.